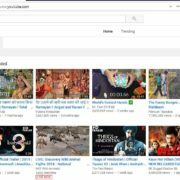 Don’t you want to show what you have searched earlier on Firefox browser to the other users of your computer? 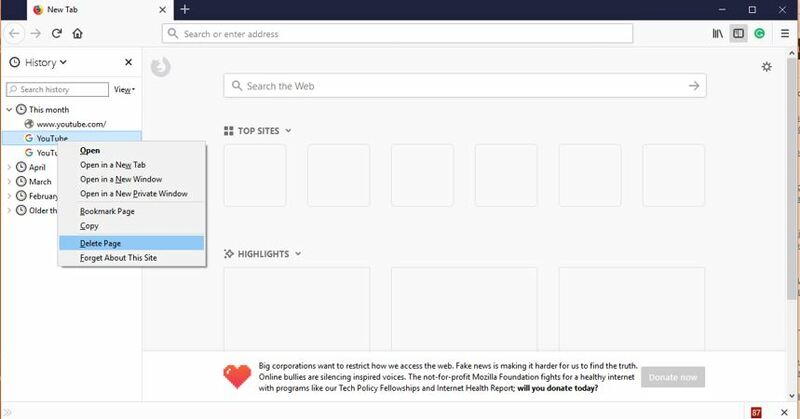 Are you looking for a guide to delete a search in Firefox? Then here is the amazing information that helps you to erase previous search data from Firefox. Once you implement the below-given instructions carefully without missing any step, your search will be cleared. Search history can be deleted permanently or periodically and depends upon your convenience. The process of deleting search history on Firefox is pretty similar to that of other browsers. As you know Mozilla Firefox, one of the most used web browsers in India retains records of all searches made via its search bar. 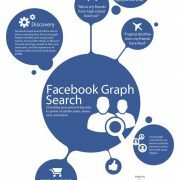 This feature may offer some level of comfort or convenience during the next search but it can become an issue on shared networks where others may see your searches. This situation would be very problematic if you prefer to keep them private. Clearing searched records from your browser takes just a few minutes; you need to spend a few keystrokes to complete the task. Follow the below given steps to enjoy most private browsing experience. The number of entries in the search bar can grow over time, so you need to clear them regularly. History menu will display the list of recently visited websites and tabs. 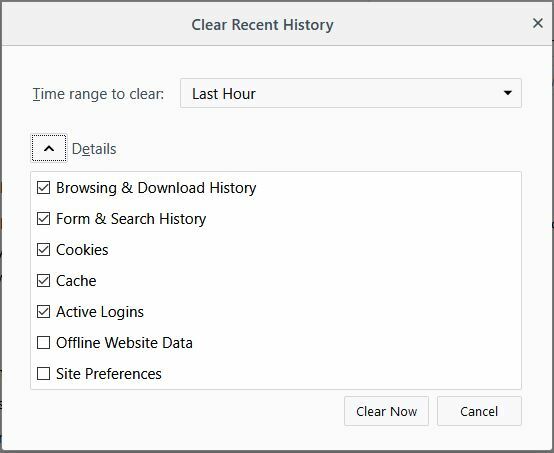 Steps to delete a search history in Mozilla Firefox in Windows 10, 7 or in any OS. 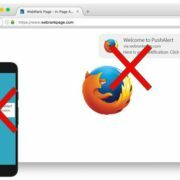 In the first step, users those who want to delete search must open a Firefox browser. Click on the Firefox menu which is visible in the form of three horizontal lines or burger icon on the top right corner of the browser. Choose the “Options” button when the drop-down menu appears on the screen. A Mozilla Firefox preference box will open. On the left side, you will see an option Privacy & Security. click on that. Under the History menu, you will see a called “clear your recent history“. Click on that and you will see a Clear recent history pop-up windows. Now in the front of the Time range to clear option you see a drop-down box, click on that. You will four options: Last hour, Last one hours, Last two hour, Last four hours, Today and Everything. 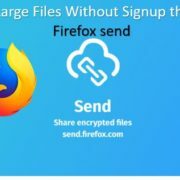 If you want to clear or deleted all of your Firefox search histories from the beginning of the time you start using the Firefox, then select the Everything otherwise just according to your choice. Now just below down you will find a Details option, click on that. From the Details section, select what you want to delete from your search history. If you want to delete Browsing and Download history then select the that. For Form & Search History, Cookies, Cache, Logins, Active Logins, Offline Website Data, and Site preference select accordingly. After selecting what you want to clear from the Firefox search history, click on the Clear Now button. Note: You can also use the Ctrl+Shift+Del shortcut to instantly access the Clear recent history box. Or just press the ALT button from the keyboard to get the Menu bar on the Firefox. Step 2: Click on Privacy and Security than on the Clear your recent history option. Step 3: Click on the drop down box and select the time from where you want to delete the Firefox history. Step 4: Click on the Details and check the things which you want to delete from the Firefox history. After that hit the Clear Now button. click on the burger icon given on the right top side. Now click on the History-> View History Sidebar. 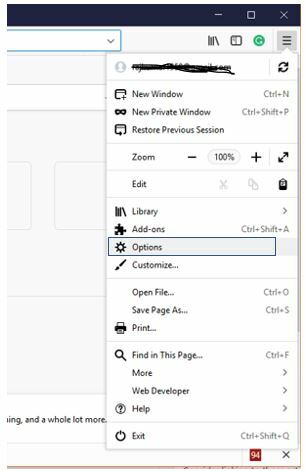 You can also use the shortcut Ctrl+H from your keyboard after opening the Mozilla Firefox browser to access the History sidebar instantly. Coming to the point, once you get the Mozilla Firefox History side bar. You will see search history by month wise. Select the month from where you want to delete the particular web page history. When you get the web page right click on it and select the delete option. To delete complete month search history, right click on the moth and choose the delete option. Clearing a cache frequently is a very good idea; you must clear browser history and clear cookies on a regular basis to maintain the privacy. 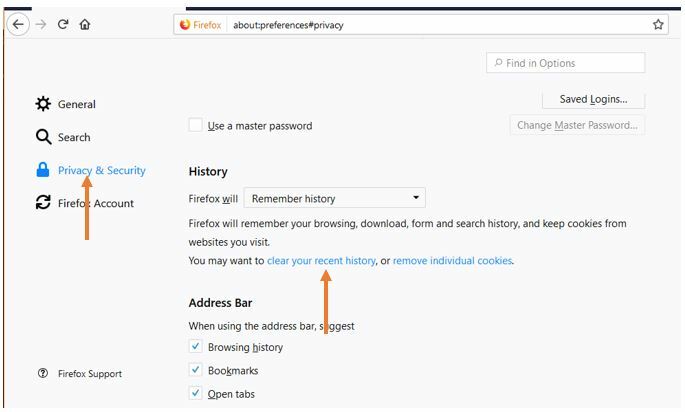 In fact, your browser will work better after every cleanup, the important thing is if your clear complete browsing history including login information like your saved usernames and passwords then you must re-enter ID and password right after deleting a search in Firefox.